In order to capture a sharp photograph, with slow shutter speeds, an efficient tripod is vital. It will eliminate the camera shake that accompanies a slow shutter speed. A good photographer needs to know which tripod is the best for their use and also is aware of the correct technique for using a tripod. It is essential to invest in a good system. Remember that all tripods don’t come with a head, so choose the head carefully, too. The type of photographs you take will determine the type of head. Two popular heads are the ballhead and the umbrella tripod. 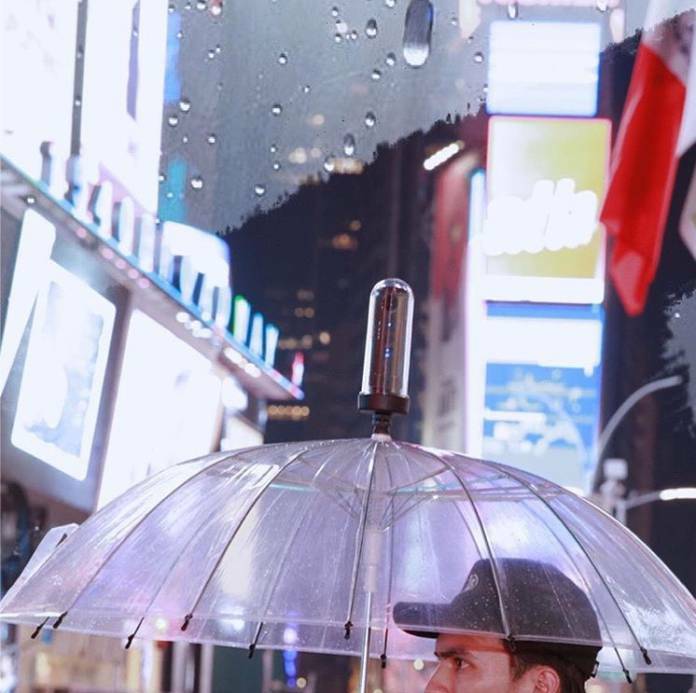 The umbrella tripod has the advantage of never letting rain spoil those special photographic moments. There is a built-in thread on top of the umbrella to which you can attach any photographic accessory which uses a standard ¼ inch screw tripod. Both you and your images are protected from the rain. I thought about this idea while my son was visiting me from Austrlia. It was difficult to carry bags and told him while I tried to take photos of our moments in the messy weather. Although shooting with hand-held equipment is easy, rather than having to set up a tripod and mounting the camera on it, there are many times when it is worth the extra effort. The new Umbrella Tripod is relatively easy to set up. There are many variables involved in the decision as to whether to use a tripod or not. Consider the following – technique of hand-holding, shutter speed, ISO performance, size of sensors, focal length, image stabilisation, lens sharpness and camera to subject distance. it favorite and This has reduced the need for tripods in some conditions. There isn’t a magic formula. It is up to each individual photographer to consider the following areas. However, in low-light situations, when looking for high-quality images, a tripod is necessary. The weight of the photography machine can impact on the quality of the images, particularly if you are using it for longer periods of time. You can avoid a shaky camera and the stress by using the Umbrella Tripod, which relieves your arms and lowers the stress of the weight, leaving you free to continue shooting your favourite images. Some genres need tripod use for a precise and consistent image, even if there are good light conditions. Some specific techniques also require the use of a tripod. For example, intentional blur, panorama or time lapse. The umbrella tripod will provide added protection for those special waterfall moments, allowing you to get close without getting wet. A general guideline states that shutter speed should be at least what the focal length is. This is important when using a hand-held technique, rather than a tripod. If your camera, or lens, has image stabilisation, use it and you are able to lower your shutter speed below the general guideline (see above). Even in these cases you may still find the Umbrella Tripod useful. You need to consider ISO performance, and what is an acceptable level of noise. Many modern cameras are able to produce favorite images at high ISOs, without producing too much noise, but lose a lot of dynamic color and range. It is up to the photographer- some don’t mind noise, but others don’t want a hint of it. Again, you may need to use a tripod, and the Umbrella Tripod is easy to prepare and to carry with you at all times. The decision about using a tripod will also depend on how you are going to print or display your images. Low ISO levels, which result in slower shutter speeds, will produce high pixel quality and high resolution. In this case the Umbrella Tripod is essential. If not printing, and only showing on the web, you can resize the images. Depending on the length of the lens, the shutter speed will need to be adjusted, and increased for sharp images if you are not using a tripod. The distance of the subject needs to be considered, too. Poor sharpness will be obvious if the subject is in the distance, and is only a small part of your frame. As the resolution of your camera increased, the demand on your lenses and your hand-held technique will increase. A tripod is an invaluable part of your photographic equipment. 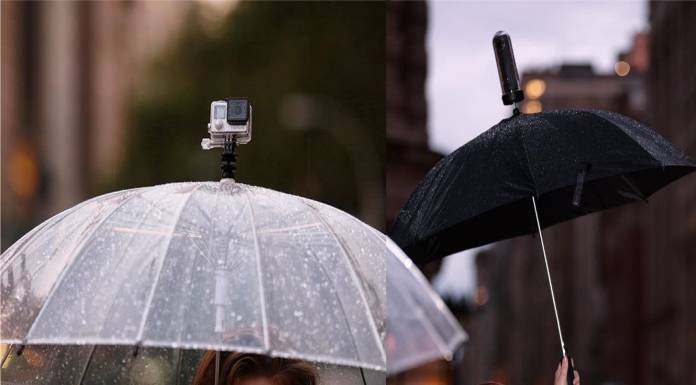 The versatile Umbrella Tripod consists of a simple screw thread on top, which allows the photographer to mount a camera, GoPro or other device with a simple screw port. With the new tripod design the photographer can stay protected from the weather while taking great photos and videos in the most inclement weather. It folds up like an umbrella, making it easy to carry with you at all times, so you don’t miss any opportunity for that great shot.